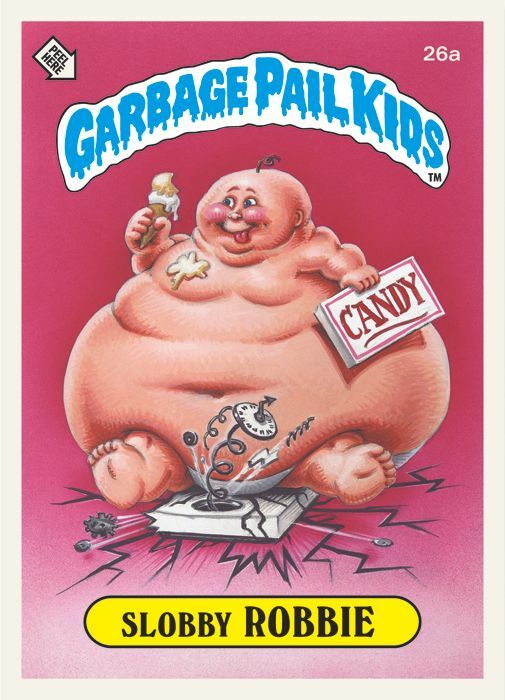 Did your mom forbid you from having Garbage Pail Kids cards like ours did? 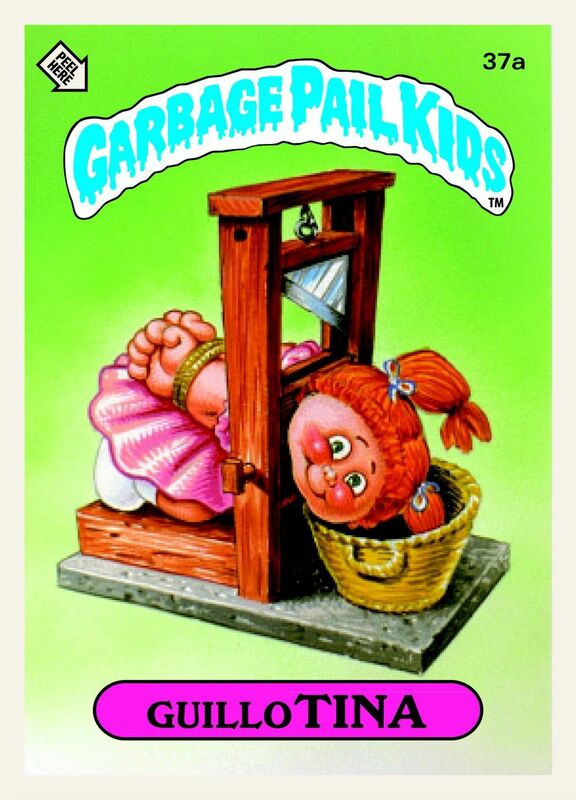 And did you have to get a friend to buy them for you because his or her mom "didn't care?" 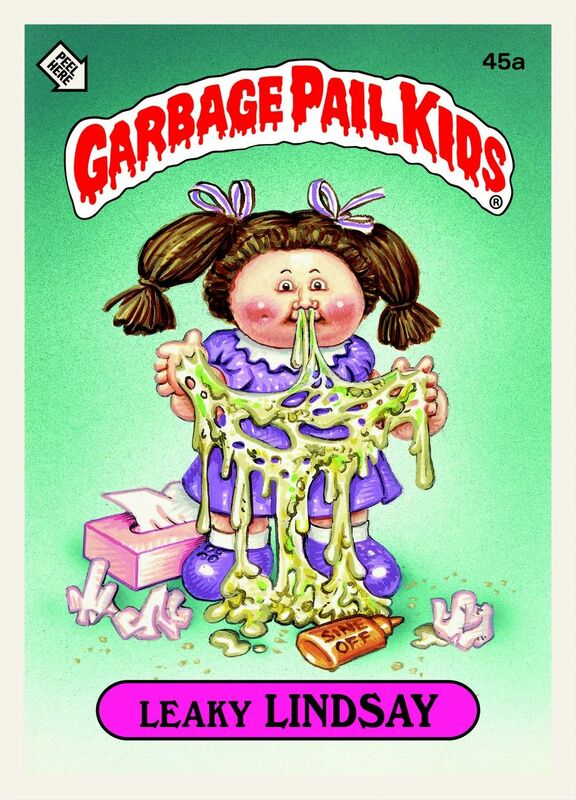 And were you thrilled to have secret Garbage Pail Kids cards but also sort of disgusted by them because they could be really, really gross and featured kids barfing and popping zits and just secreting in general? Us too. 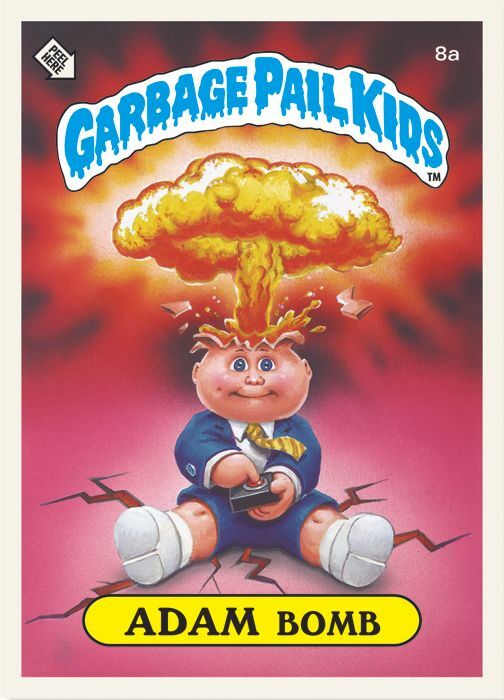 That's why most of the Papermag staff spent a good chunk of today fondly pouring over the new Garbage Pail Kids book from Topps which just came in the mail, getting re-acquainted with old friends like Corroded Carl, Armpit Britt and Ghastley Ashley. 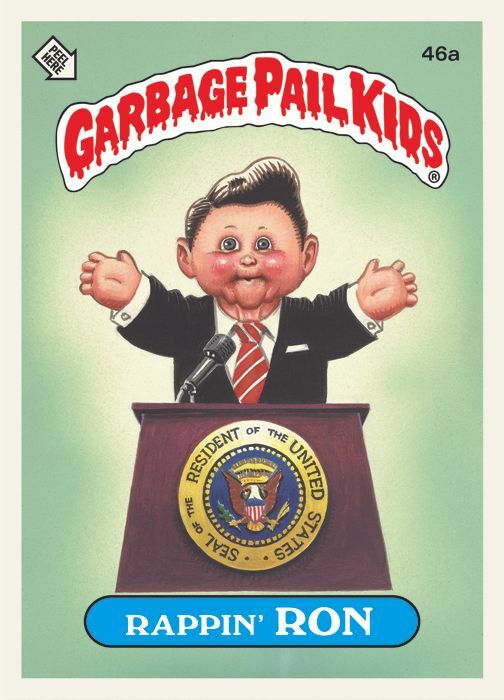 The book, out next month, features an essay by series artist John Pound as well as a piece by Garbage Pail Kids co-creator and distinguished American cartoonist Art Spiegelman. 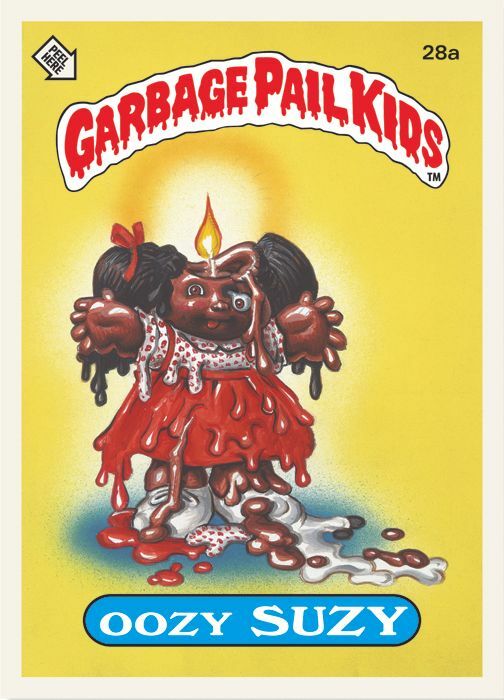 (Isn't it awesome that the co-creator of Disgustin' Justin and Sewer Sue has a Pulitzer Prize?) 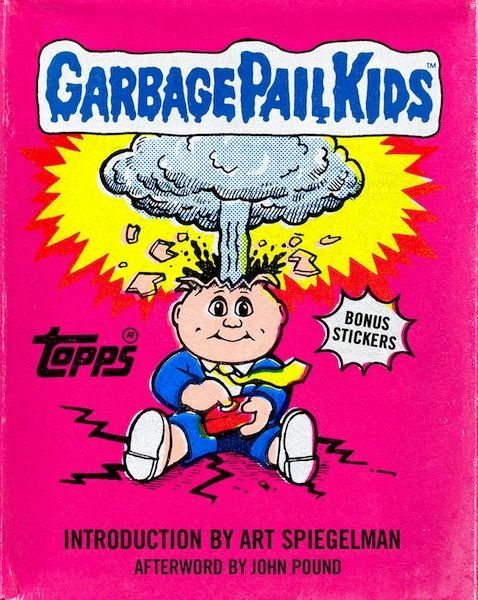 We particularly enjoyed this quote from Spiegelman's intro about creating the GPK prototype with Pound, which, he says, needed to be "grotesque, and yet there had to be an endearing aspect to the images as well...... John hit the bull's-eye. 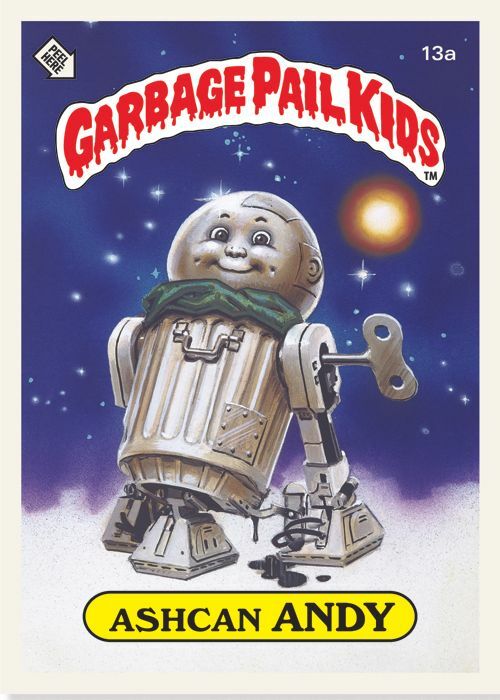 He made you want to adopt these poor rejected kids despite the fact that seeing them might make you want to puke." 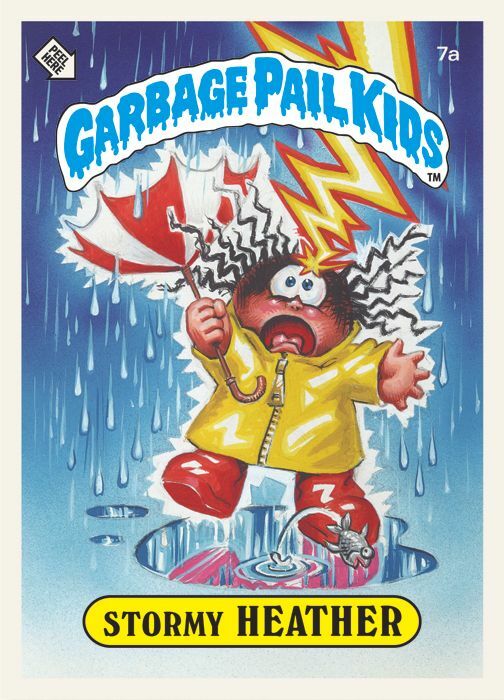 Get your barf bags out because we have some preview images to share from the book, which features all 206 original stickers from GPK series one through five, released in 1985 and 1986. 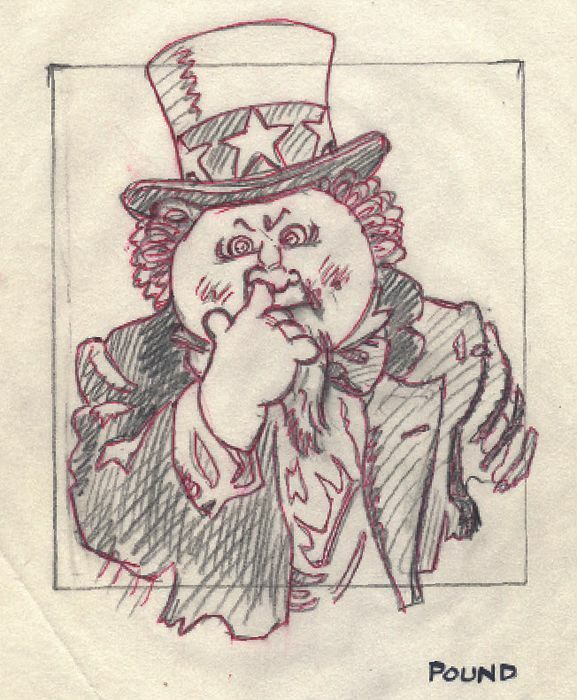 We've also included a pencil sketch by Pound of "Snooty Sam." 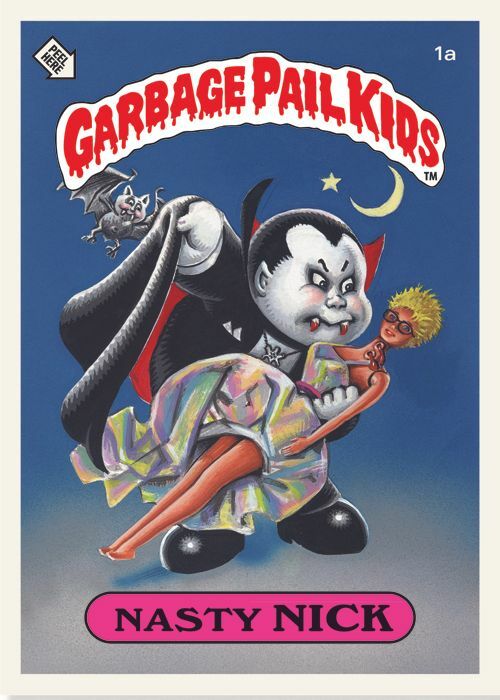 Just don't let your Mom see.